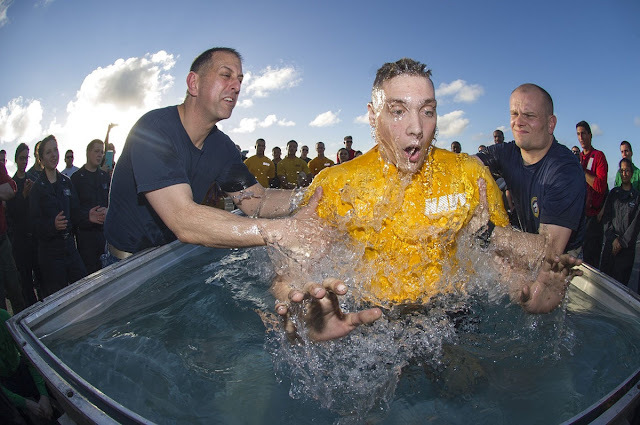 Wounded Times: Congress tells Navy "No Atheist Chaplains"
Congress tells Navy "No Atheist Chaplains"
A command religious ministries department divisional officer and a chaplain baptize a sailor aboard the carrier George Washington. A self-described "humanist" has had multiple attempts at becoming a Navy chaplain denied. Actually, he's been trying since 2013.